Sign up for our newsletter - and try the Advanced Online Testing and Study System - Right Now - FREE! Take sample exams and use the online flashcards from promotional textbooks commonly used in Corporal, Sergeant, Lieutenant and Captain promotions. Take these exams online in the next few minutes. "I took the Philadelphia PD Sergeant exam and with the help of your tests and flash cards I was able to come out #1 on my promotional exam out of 2,000 applicants. I would recommend you guys to everyone. Thank you so much!" "I scored a 94%, which put me on top of the list!" Member From Dearborn Heights, MI - Quoted with permission. "The desktop exam allowed me to identify weaknesses in my study routine. I bought it 3 days before my test and took it multiple times, using it with my text book to drill down where the questions came from. I scored #1 on the written exam out of 60 people sitting for the Lt exam." 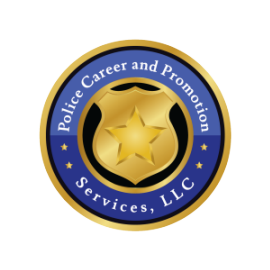 We feature exams from 100+ Police Promotion Textbooks - with up to 500+ questions each - see if we have yours!